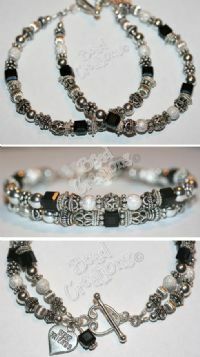 Gorgeous 2 Strand, Sterling Silver Bracelet has a mixture Sterling Silver Beads, Bali Beads and 6mm Black Swarovski Square Crystals. I also have all the birthstone square crystal colors. 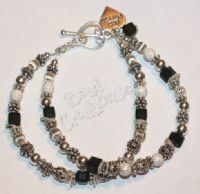 Charm & Dangle not included in price but can be added below.